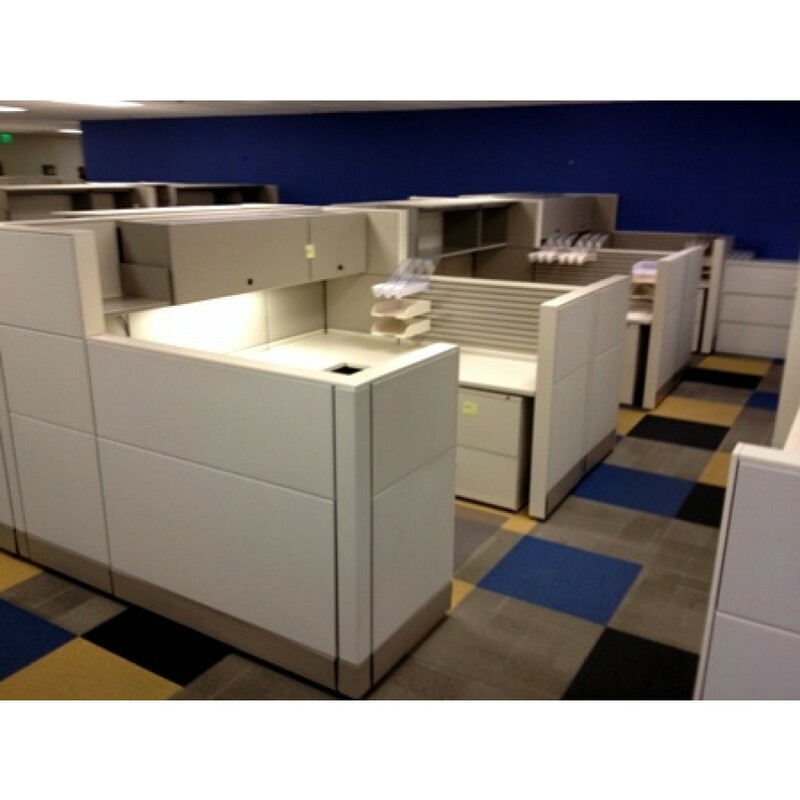 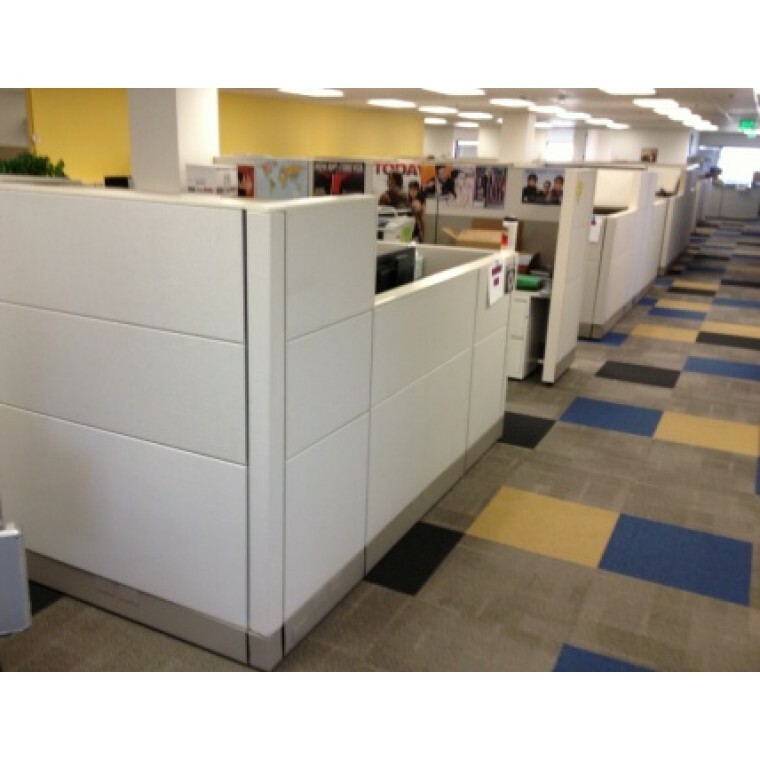 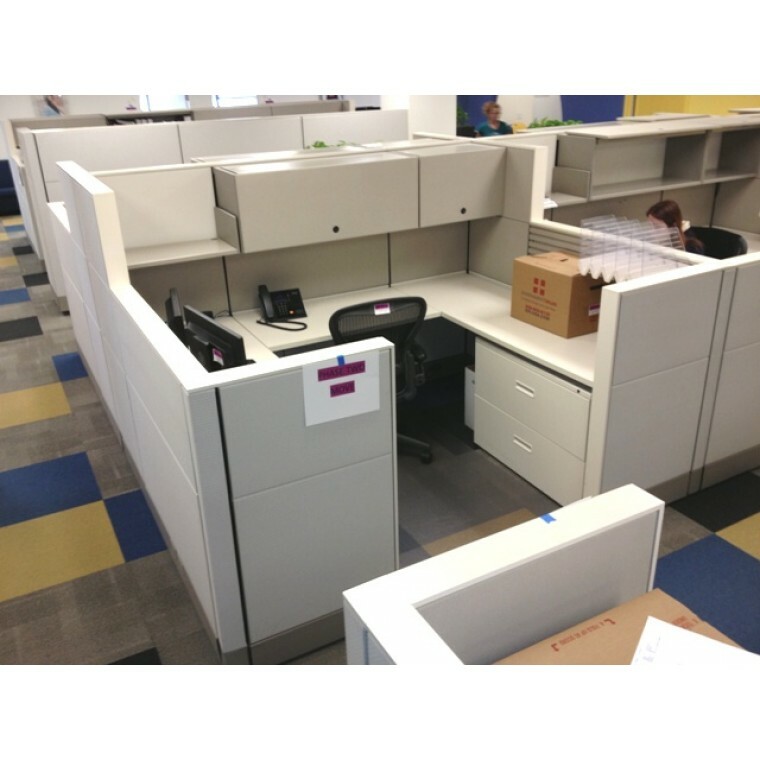 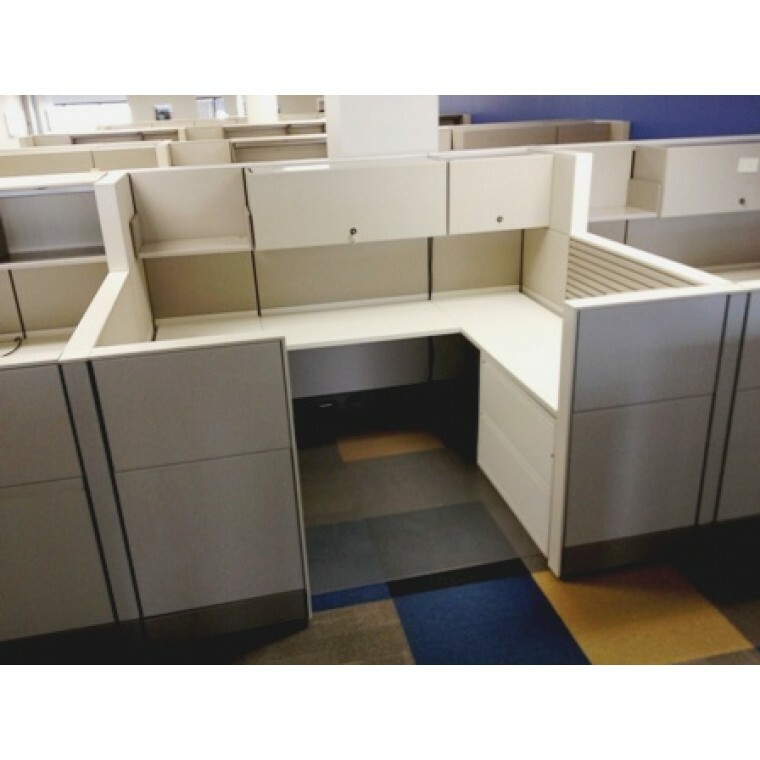 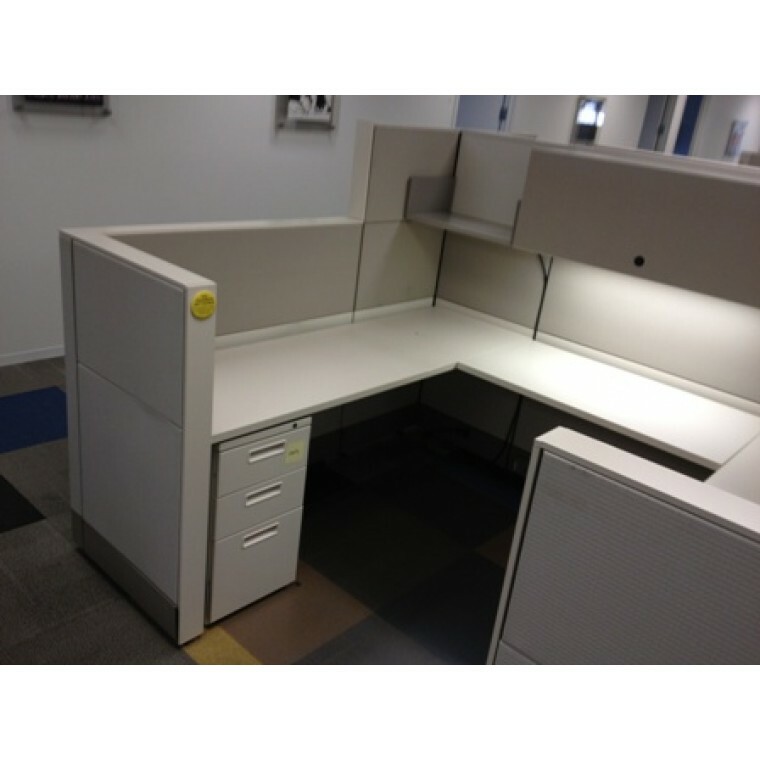 Herman Miller Ethospace Hi-Low cubicles (7.5 x 6) & (8 x 6) - These used cubicles are in excellent condition loaded with components. 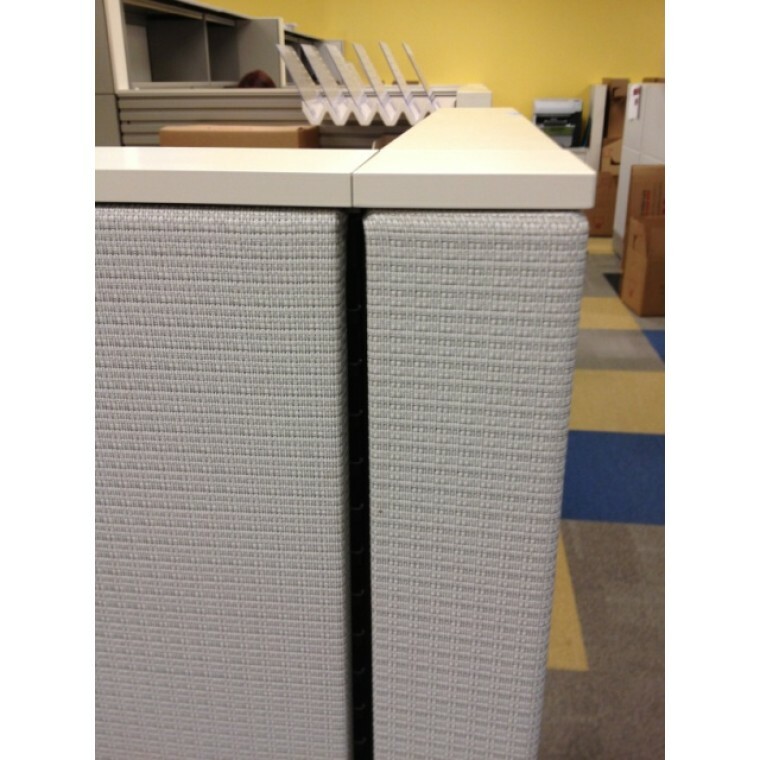 This modular system by Herman Miller is a designer friendly segmented system that give these particular stations a modern flair with multiple fabrics, metal tiles as well as a more sturdy 3 1/2 panel. 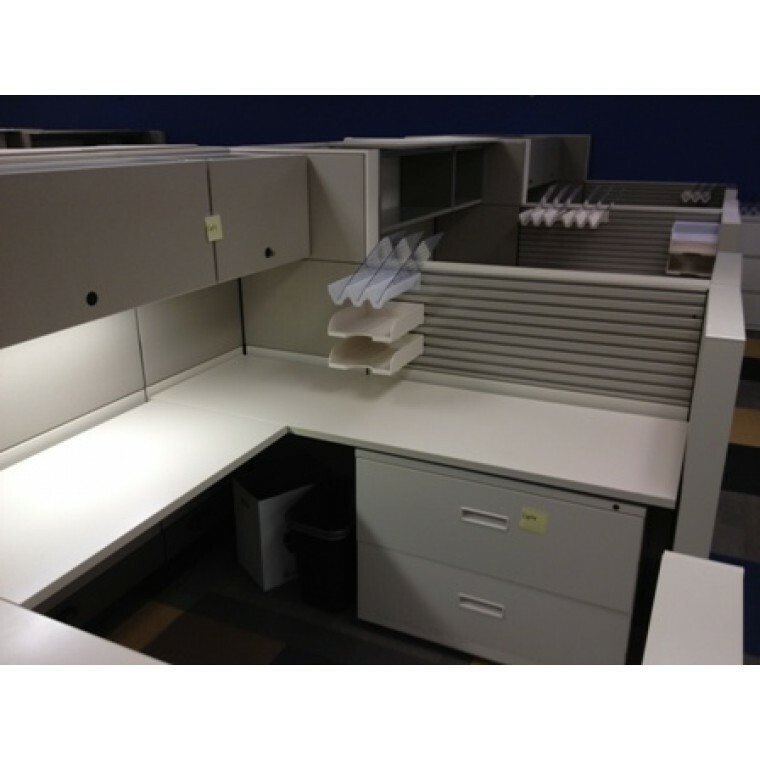 Each station comes with (2) overhead bins, (1) shelf, (1) BBF 3-drawer storage pedestal, and (1) 2-Drawer lateral file (36"W). 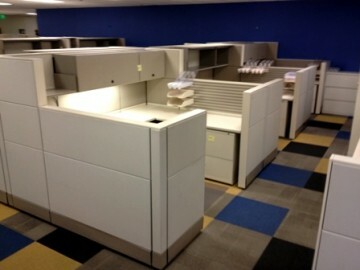 Lots of flexibility to redesign these stations into different configurations.